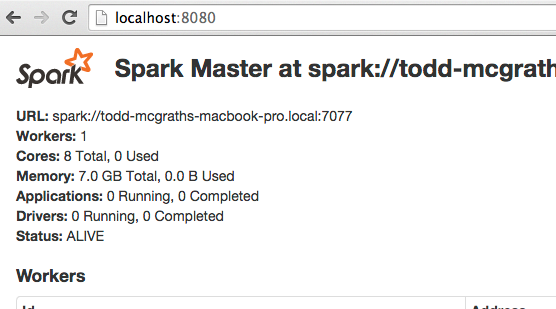 Running an Apache Spark Cluster on your local machine is a natural and early step towards Apache Spark proficiency. As I imagine you are already aware, you can use a YARN-based Spark Cluster running in Cloudera, Hortonworks or MapR. There are numerous options for running a Spark Cluster in Amazon, Google or Azure as well. But, running a standalone cluster on its own is a great way to understand some of the mechanics of Spark Clusters. 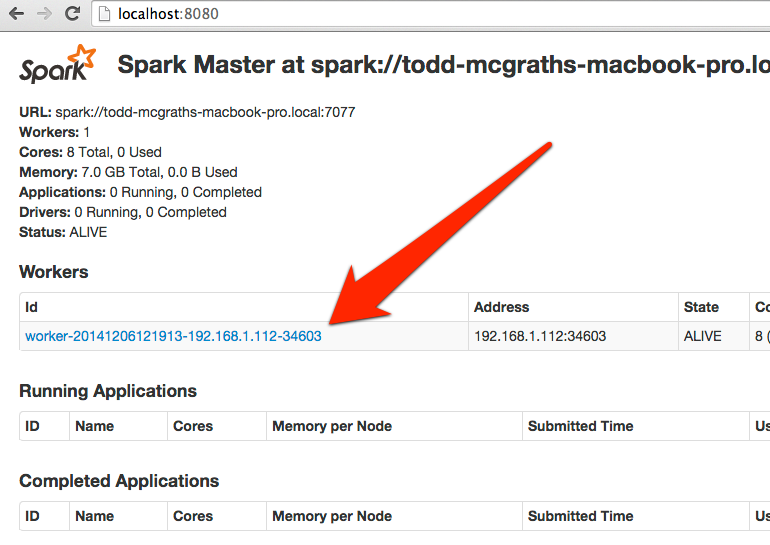 In this post, let’s start understanding our Spark cluster options by running a Spark cluster on a local machine. Running a local cluster is called “standalone” mode. This post will describe pitfalls to avoid and review how to run Spark Cluster locally, deploy to a local running Spark cluster, describe fundamental cluster concepts like Masters and Workers and finally set the stage for more advanced cluster options. If you are new to Apache Spark or want to learn more, you are encouraged to check out the Spark with Scala tutorials or Spark with Python tutorials. After download, this spark cluster tutorial assumes you have expanded the downloaded file (unzipped, untarred, etc.) into a directory in your environment. Finally, it assumes you have opened a terminal or command-prompt and are the root of the downloaded and Spark directory. As a refresher, the Spark Application Master is responsible for brokering resource requests by finding a suitable set of workers to run the Spark applications. 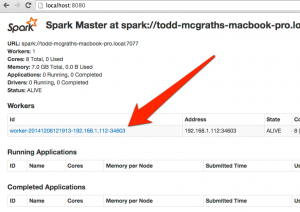 As a refresher, Spark Workers are responsible for processing requests sent from the Spark Master. 14/12/06 12:44:32 WARN Utils: Service 'SparkUI' could not bind on port 4040. Attempting port 4041. And there you go. You are ready to proceed. 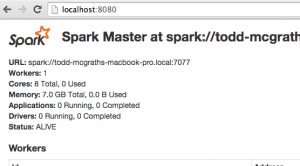 The next Spark Cluster tutorial is Part 2 Deploy Scala Program to Spark Cluster. This example of running a spark cluster locally is to ensure we’re ready to take on more difficult concepts such as using cluster managers such as YARN and Mesos. Also, we’ll cover configuring a Spark EC2 based clusters on Amazon. Also, before we move on to more advance Spark cluster setups, we’ll cover deploying and running a driver program to a Spark cluster and deploying 3rd party jars with Spark Scala. * This post will use a Mac, so translate to your OS accordingly.